Link Consulting maintained throughout 2011 and 2012 special focus on the development of international activity. The recognition of this effort is reflected in the success achieved in various international geographies and validated the strategy followed in order to consolidate its operations in markets with high growth potential. 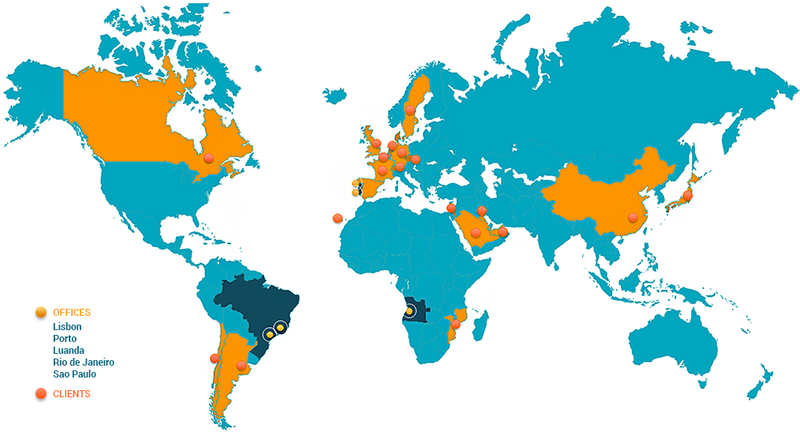 In the area of System Quality Assurance (Software Testing), link has doubled the number of positions of its factory testing of São Paulo – Brazil, and started with its factory in Lisbon. Link was selected by the two largest mobile operators in Latin America to operate their factories tests. This strong presence in the international market was already awarded with the recognition of our partners, notably by Microsoft in the area of Microsoft Dynamics, the assignment of a member of the “Microsoft Dynamics Inner Circle” and recognizing President’s Club, and also with ORACLE being awarded the TOP Partner awards 2009 in SOA and Enterprise 2.0. Link Consulting also received two international awards in the Open World 2011, San Francisco, the EMEA Partner Specialization Awards (Middleware) and BPM and SOA Partner Community Awards (BPM and SOA) from ORACLE. In 2011, we achieved the recognition Platinum Partner. Obtaining the Platinum level is the acknowledgment that Oracle’s high level of expertise and excellence of Link Consulting in providing Oracle solutions, including: Oracle Business Process Management (BPM), Oracle Service-Oriented Architecture (SOA), Oracle WebCenter Content, Oracle Application Grid and Oracle BI 11g Foundation.